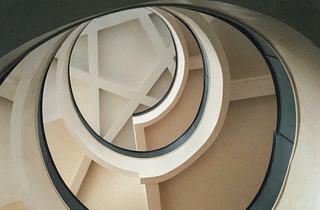 Richard Pare photographs Soviet modernism. In 1922, the newly formed Soviet Union needed buildings that would embody Communist ideals. It commissioned designs from pioneering Russian modernists, who rejected classicism for machine-age aesthetics. Their visions of a modernist social utopia were short-lived. By 1932, as Stalin consolidated power, avant-garde architects were seen as dangerously intellectual and passed over in favor of their more traditional-minded counterparts. British photographer Richard Pare has spent the past 20 years documenting the groundbreaking buildings of Konstantin Melnikov (1890–1974) and Alexander Vesnin (1883–1959), among others—many of which are now neglected and dilapidated. “The Lost Vanguard: Soviet Modernist Architecture, 1922–32” presents Pare’s photographs of what remains. While architectural-history geeks like me can appreciate Pare’s photographs simply as records of the past, they can also be admired for their aesthetic value. Pare’s chromogenic color prints are sumptuous in tone and color, albeit somewhat derivative in style. Water Tower for the Uralmashzavod Socialist City (1999) invites comparisons to Bernd and Hilla Becher’s typological studies of water towers and industrial structures. Other photos, like Gosprom Office Complex (1999), shot at a 45-degree angle, recall the skewed imagery of the Russian Constructivists, especially Aleksandr Rodchenko’s photographs. 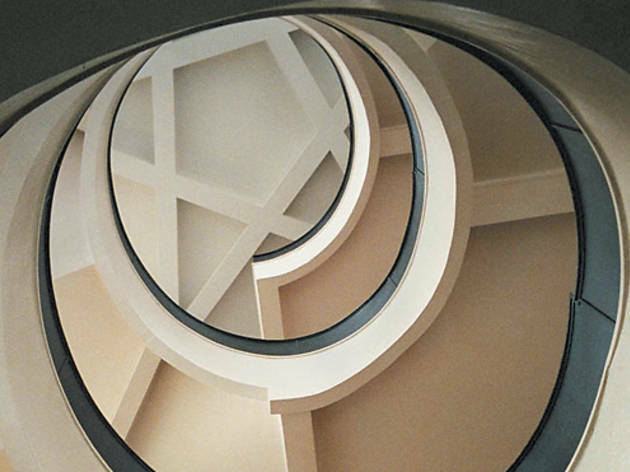 But Pare best captures the spirit of interiors, such as the spiral staircase—inspired by the Communist star and sickle—in Chekist Housing Scheme (1999). As Russian cities race to develop new buildings, the fate of these early modernist structures is unclear. This exhibition suggests an urgent need for preservation that resonates in Chicago, given our own struggles to save our modernist heritage.